Health systems in the United Kingdom have, for many years, made the quality of care a highly visible priority, internationally pioneering many tools and policies to assure and improve the quality of care. A key challenge, however, is to understand why, despite being a global leader in quality monitoring and improvement, the United Kingdom does not consistently demonstrate strong performance on international benchmarks of quality. This report reviews the quality of health care in the England, Scotland, Wales and Northern Ireland, seeking to highlight best practices, and provides a series of targeted assessments and recommendations for further quality gains in health care. To secure continued quality gains, the four health systems will need to balance top-down approaches to quality management and bottom-up approaches to quality improvement; publish more quality and outcomes data disaggregated by country; and, establish a forum where the key officials and clinical leaders from the four health systems responsible for quality of care can meet on a regular basis to learn from each other’s innovations. 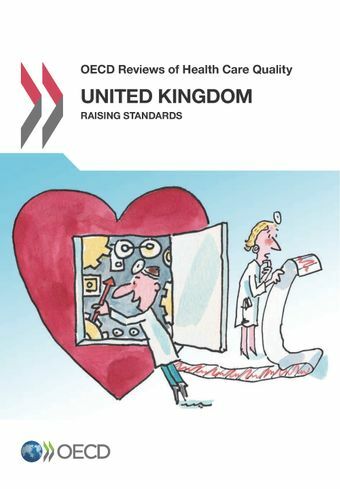 The UK as a whole likely puts more energy into health care quality improvement initiatives than any other country in the world, and as a result has many innovative policies of international repute. Yet despite this, the quality of health care in the UK is no better than average. In England, the balance between central governance and accountability, and local innovation, needs revisiting. Governance has shifted too far towards top-down regulation, which doesn’t leave enough space for local innovation, and risks disempowerment and distrust amongst those providing care. Additionally, there has been a proliferation of national agencies, reviews and policies that address quality, leading to a somewhat congested and fragmented field of actors. Scotland needs to look for ways to support bottom-up approaches with stronger national frameworks, for instance by establishing a national adverse events reporting system. Scotland should also reconsider whether the mixing of scrutiny and quality improvement activity within Healthcare Improvement Scotland represents a conflict of interest. The mix of these roles means that the system’s inspector risks “marking its own homework”. In Wales, while local autonomy and innovation is encouraged, local Health Boards (established in 2009) do not appear to have sufficient institutional and technical capacity to drive meaningful innovation and quality gains. A stronger central guiding hand is now needed to play a more prescriptive role. In Northern Ireland, commissioning and performance management of health and social care have been integrated for over 40 years, and the Department of Health, Social Services and Public Safety has strategic oversight over both health and social care. Northern Ireland could now do more to better exploit this collaborative structure to deliver more integrated and person-centred care.